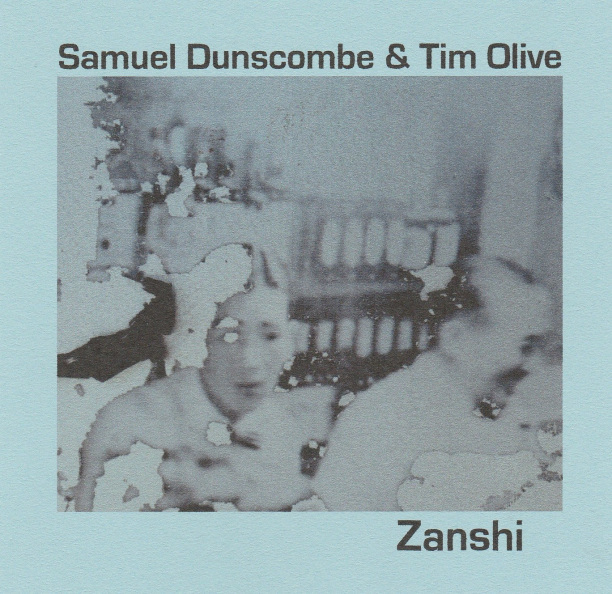 Fascinating and enigmatic release from the ever-dependable Tim Olive, who appears on Zanshi (KENDRA STEINER EDITIONS #371) with Samuel Dunscombe. Dunscombe is a new name to me but plays bass clarinet and has appeared in a combo called Martin Martini and the Bone Palace Orchestra. However, he is also a composer and seems well known through his connections with the Wandelweiser collective, and there are some recent recordings with Michael Pisaro and Eva-Marie Houben which may warrant investigation. I tend to shy away from anything Wandelweiser these days, but found Zanshi to be an excellent set of non-stop textures and denatured noise. It’s almost impossible to fathom out how these sounds were made, and only occasionally does something resembling a musical instrument swim to the surface of this continual morkoid gloopery. Two growling otters wrestling in a huge vat of butternut squash. If chewing gum could take musical form, then we might get something like this – “chewing hides the sound”, as Snakefinger put it so eloquently. The word Zanshi has some profound meaning though, to do with “vestigial trace”, and there are three lines printed on the back cover explaining this is in more detail to those who have the intellectual hunger for such information. I suppose the music demonstrates this “Zanshi” in some way that I haven’t bothered to find out. The label that released this is based in San Antonio, and they mostly publish contemporary poetry, but you’ll also find some unusual musical items 1 buried in their WordPress pages. From 27th April 2018.